Sylvester, Tribal House, Slave, Candi Staton, Grover Washington Jr and more. This show was 26th in the global funk - soul - jazz chart, 42nd in the global disco chart and 69th in the global soul chart. 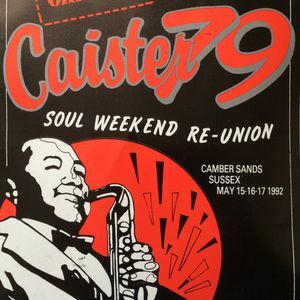 Recorded live at the Caister 79 Reunion Weekender back in !992 Part 1 on Friday 15th May,with Sean French,Chris Brown,Tom Holland, Froggy,Robbie Vincent.